2) then you can choose to use it by selecting the source option whilst pixelcontroller is running. make sure you remove the # sign in front of any of the screen.capture lines, and change x=0 to something like x=100. 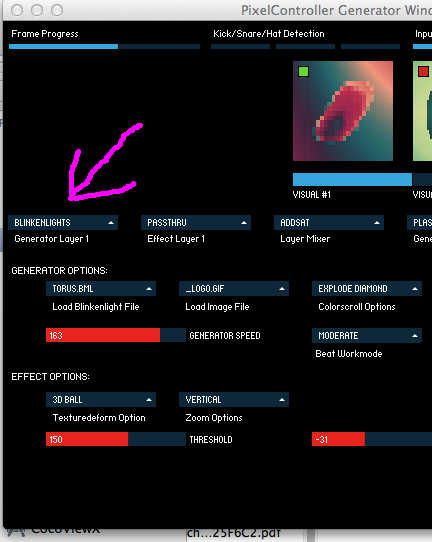 Then, when you restart pixelcontroller, go to the first source controller (the pink arrow shows the one I mean), labelled blinkenlight by default, select the source by clicking on the currently selected source (blinkenlight) and select Screen capture.